Hacking and the risk of being spied on by the government and other entities have increased over the years. Our dependency on the internet and computers has made it impossible to avoid these risks. However, there is always a solution and a way to be safe. Private Internet Access (PIA) allows you to block hackers and government spies and keeps you safe even if you are connected to public Wi-Fi. Private Internet Access provides users with very high-level encryption that stops all the digital advertising disrupting your activities. It also offers IP cloaking that gives uncensored internet access from anywhere. With PIA only those gateways to the outside internet will open that you wish to open. PIA is every user’s worry free formula. Private Internet Access basically encrypts data based on the cryptographically secure Blowfish CBC algorithm. It also comes with a SOCKS5 proxy. It has providers more than 3310 servers in 25 countries and 31 regions including Australia, Brazil, Canada, France, Germany, Hong Kong, Ireland, Israel, Italy, Japan, Mexico, Netherlands, Romania, Russia, Singapore, Switzerland, Sweden, Turkey,USA and UK. 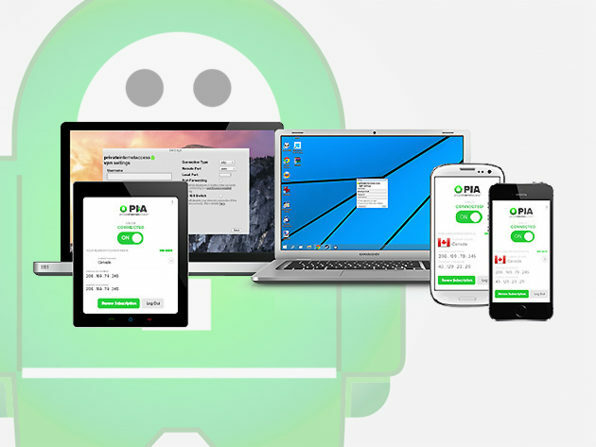 PIA is compatible with Mac OS X, Windows, Linux, Android and iOS. You can redeem your license within 30 days of purchase and you can access it for 2 years. So what are you waiting for? Just visit the site and stay safe for a good two years.